I never actually got a suggestion of that nature from Chad. I had a spare laying around & that was the best method I could think of to promote combustion. I actually have a light weight grate underneath the log one to hold/catch coals poured out of a chimney for ease of wood ignition at startup. 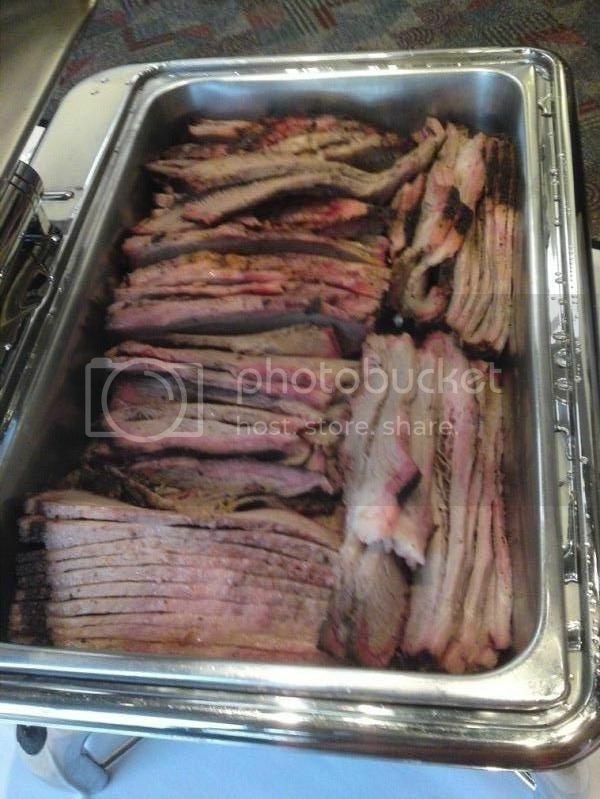 I cooked 6 briskets, 9 slabs of ribs and 10 pounds of sausage last weekend for my daughters graduation party and all of the issues I was having are gone. I put a fireplace grate in the firebox and that worked out great as well. I also recieved a courtesy call from Chad after he read my posts about the issue I was having on here. Thank you Chad!! I have to say again how pleased I am to have dealt with such a classy person and company on this build/purchase. 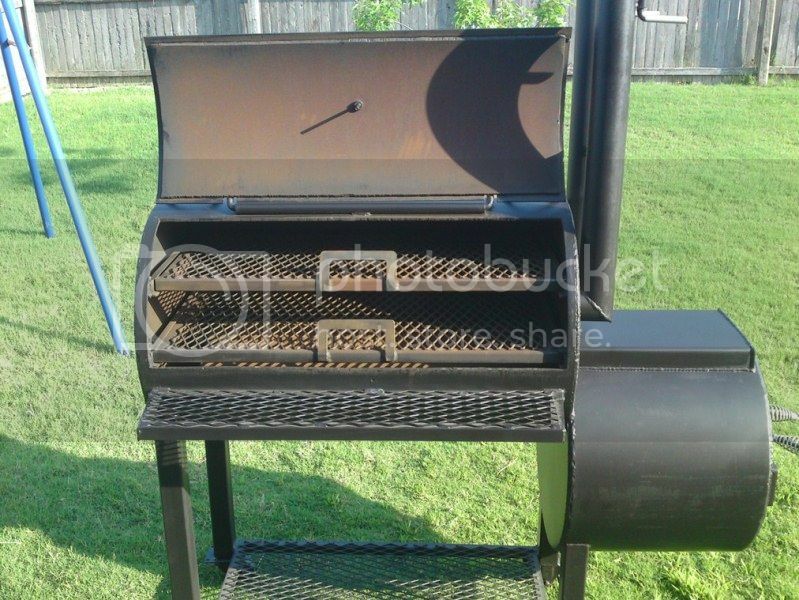 I highly recommend buying from Johnson Custom Smokers (www.johnsonsmokers.com) if any of you are in the market to buy a new BBQ pit in the future. I purchased the Johnson Smokers Compact Patio smoker about a year ago, and the pit is awesome. Last spring and summer, I smoked a bunch of briskets, pulled pork shoulders, ribs, chickens, a sirloin roast, and some sausage, all of it recieving rave reviews from friends and family alike. This past Thanksgiving I did 2 turkeys for my family, and they were the best we've ever had. My reputation as a talented pit boss has improved so much this year as a result of this smoker, I was hired to provide brisket for our company's employee Christmas party. Everybody raved about the food, and fought over the leftovers! I am 100% confident in the results I can get with the Johnson Smoker. Chad's "after the sale" support and tips proved to be invaluable, and I really appreciate the way they stand behind not just the quality of their products but the functionality of them as well. Using Chad's tips, I can lock the temprature in at just about any point and hold it there for hours with very little babysitting. I don't think that the design could be any better for a smoker of this size. The draw through the cooking chamber (even with the firebox door open) is nothing short of magic. The build quality is excellent. I suspect that I will probably get tired of eating smoked food before I wear this cooker out. Double racks in that size offset is a nice feature! Just put a deposit down on a Compact Patio - was reviewing all of the comments and confirmed I have made the correct choice. In the firebox, did you have a grate installed? If not, what are you using as the grate or are you just putting wood right on the bottom of the firebox? Also, does the firebox door open to the botton of the firebox - in other words, is it easy to get the ash out of box after a cook? When I first got the smoker I was cooking directly on the bottom of the firebox. It worked, but required more fire tending. Since then, I went to Lowes and bought a slotted steel griller basket, and just inverted it in the firebox, and build the fire on top of that, no worries. I use a shovel to empty out the ash, it fits right in the door, takes about 2-3 minutes and you are ready to go again. Thank you for the information - do you have a picture of your firebox with the grill basket inside - just trying to get an idea of what you are using. I have placed an order for the Compact Patio Unit -which I think is the same unit that you are cooking on. Thanks again for your help. I am also thinking of a Johnson Pit, the Large T, Chad appears proud of that one too. What do ya'll think? There are elements of the T design that I quite like. My guess is that it would perform best with a custom sized charcoal basket for it's firebox. I just got back from visiting Chad at his shop - he builds a really fine pit - had originally ordered the Compact Patio, but after meeting with Chad, decided to go with Compact Ultimate Patio. I really like the reverse flow design - instead of a baffel, he uses a pipe to direct the heat/smoke out of the fire box and to the other side of cooking chamber. Hope to pick mine up in 4 to 6 weeks. First off congrats and I think you will be happy with your choice. On the model I am familiar with, 1/2 Adv. Stationary, Chad uses what appear to be rounded sections of pipe ( think of a rounded 25% crescent) that span the bottom width of the main chamber & channel smoke/Heat to the opposite end. Is yours different? I am new to this forum and pretty new to smoking. My smoking is just for family and friends maybe 5 to 20 people at a time. I have been looking for a new/better smoker and have been talking with Chad at Johnson Smokers. Seems like a nice person and from the picture I've seen it look like he makes a nice smoker. 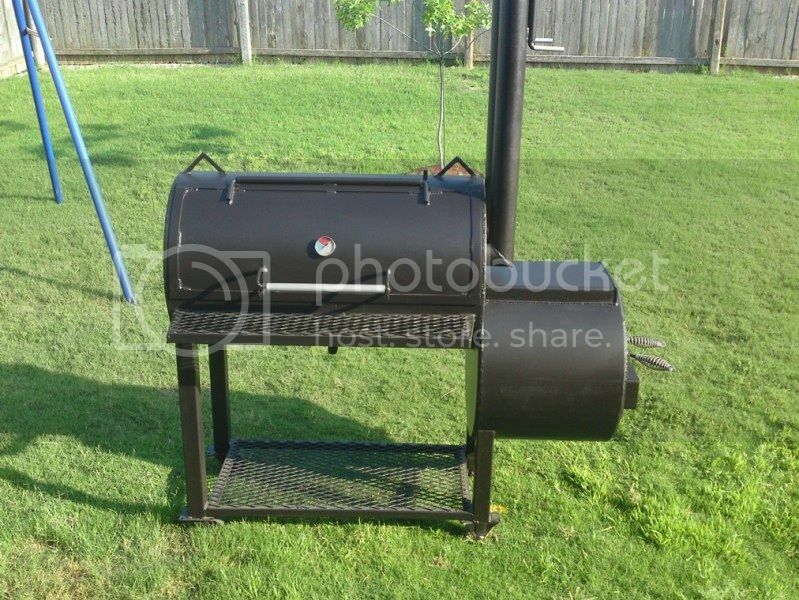 I am thinking about getting the Ultimate Patio Smoker with the vertical smoker and was wondering what you think about it. Would it be big enough to cook for up to 20 +/_ people. If anyone has this model, have you had any problems with it. Only problem I have seen so far is that he has a 14 week back log. I'm hoping to visit Chad's in the next week or so, depending on my being able to get off work early. I want to get it ordered as he has a 14 week backlog at the present. From what I've seen and read he makes a good pit. Please keep us posted on your's.